If you missed Lumpy Waters 2015 - you missed a really fun symposium. The good news is that the gang and Alder Creek Canoe and Kayak is doing it again next year so mark your calendars and sign up soon for Lumpy Waters October 7-9, 2016. 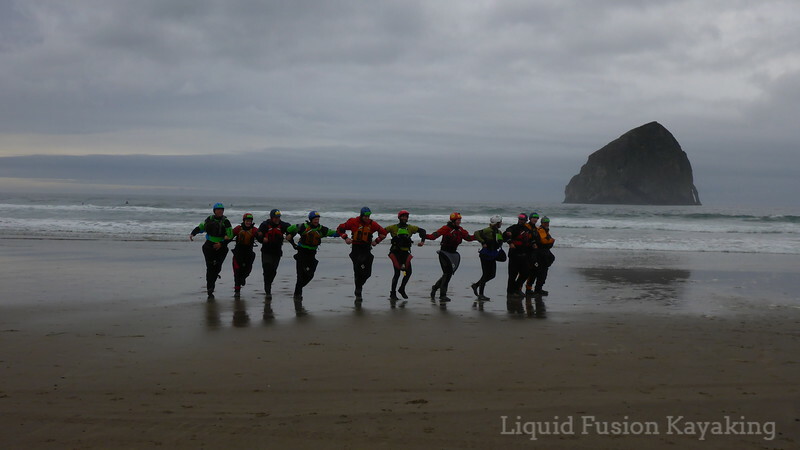 Lumpy Waters is much more than a sea kayak symposium - it is a community of enthusiastic sea kayakers. 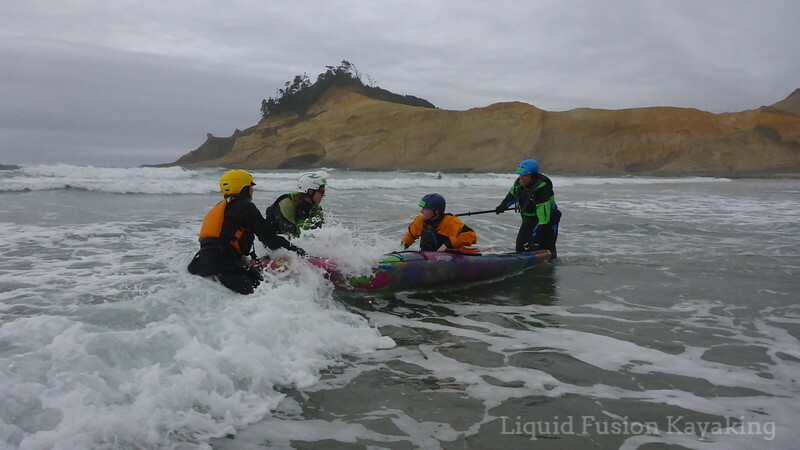 There are opportunities for students of all skill levels to build skills for lumpy waters including surf zones and rock gardens with coaches who specialize in the lumpy realm of sea kayaking. It is a training ground for upcoming sea kayak coaches and safety boaters and a showcase for industry leaders in sea kayak products. Beyond the classroom, it is a fun event for like minded folk to gather. Off the water, we share tales of adventures, plan new ones, and engage in silly symposium activities like Saturday night's pub quiz. This year's Lumpy had a bit of everything including weather, coaches, classes, and entertainment. The weather was spectacular. There were sessions where we had both sun and rain but no wind. The ocean was as cooperative as can be expected affording many good learning opportunities for our students. Off the water, well let's just say sometimes what happens at Lumpy - stays a Lumpy. We will share that Jeff and I were honored Friday night in the big tent to share our video - Mendocino County - Waves, Wildlife, and Wonder. If you missed it or would like to see it again, we will share it with you here. Be sure to turn the volume on your computer and carve out 11 minutes to see the wow's and wonders of our backyard playground. For those who have been to Lumpy before but missed this year, Jeff was one of the celebrity coaches during Saturday night's pub quiz. Like previous years, this year was full of antics. All will remember Jeff's handstand lap dance. Enough said about that. It was all in good fun. 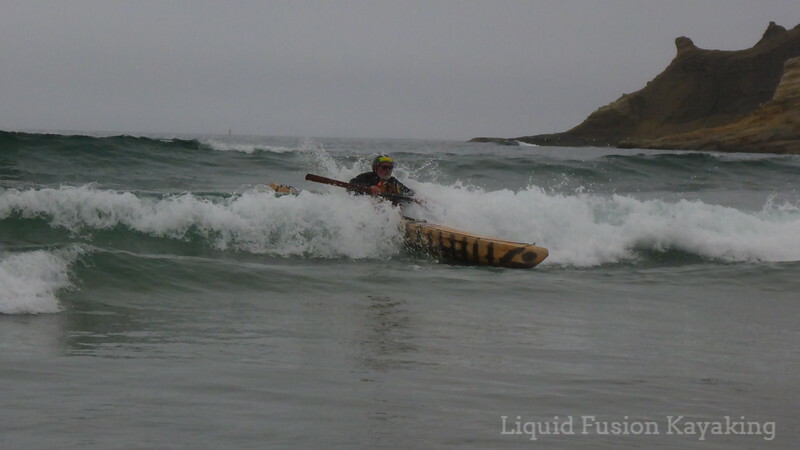 A huge thanks to Jackson Kayak for helping sponsor our attendance at the event. Who knows what Lumpy Waters 2016 will bring, but one can count on it being FUN!!! We have marked our calendars for Lumpy October 7-9, 2016 and encourage you to do the same.